We may be in a new “golden age of television” but we’re also in the golden age of reboots. With hit shows like The X-Files, Twin Peaks, Gilmore Girls, Prison Break and even Will and Grace returning to television years (even decades) after their initial runs ended, it would seem that it’s possible for *literally* any show to be revived from the grave — except Friends. 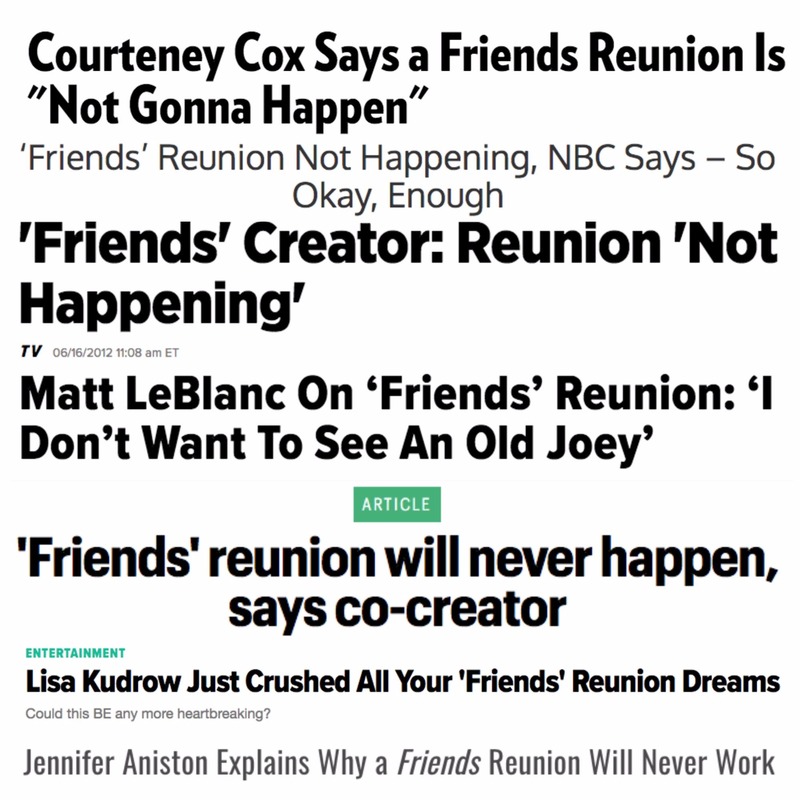 Despite the cast telling the media for years that the hit NBC show wouldn’t be reuniting at Central Perk any time soon, over the weekend, a promo poster for a Friends revival circulated around the internet and a *lot* of people bought it. Naturally, the rumor started through a fake David Schwimmer page. A Facebook page for “David Schwimer” — which has since been removed — first posted the promotional image. Without any internet confirmation, this post spread ~quickly~. According to BuzzFeed, the post was shared over 350,000 times before the page was shut down. That’s a lot of visibility. While we all know Ross was often the worst, we do feel a little offended on behalf of David Schwimmer. While he may be *best* known for his turn as the whiny, Mississippi-counting Ross Geller on Friends, he’s had a pretty successful career as an actor and director. At the very least, successful enough for us to know that his name has TWO ‘m’s in it. He played Captain Herbert Sobel. He voiced the role of Melman, the hypochondriac giraffe in the film and its two sequels. BTW, he was nominated for an Emmy for his role as Robert Kardashian. Long story short: Don’t believe everything you see on Facebook. 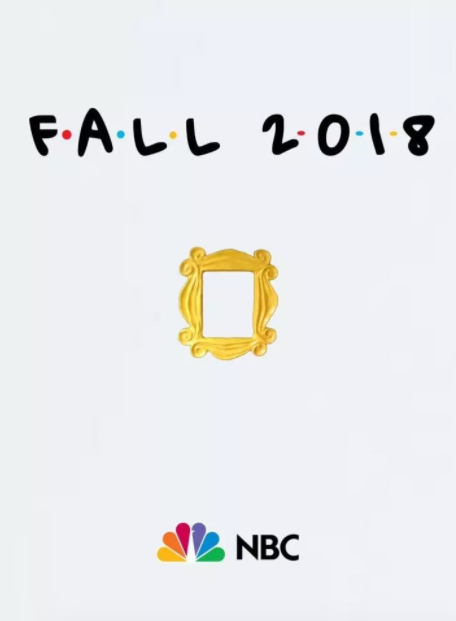 Friends will not be returning in 2018, and PLEASE learn how to spell David Schwimmer’s name.